A group of Wilsons trainees and caseworkers from the Immigration Department spent the weekend in Dunkirk on Saturday 9th and Sunday 10th January 2016. Our trip was in response to a call out for help shared on social media networks from a group of 8 self-funded volunteers from Aid Box Convoy who have been part of organising the logistics in the camp for the last 5 months. We were told that no other lawyers had visited the camp before and we hoped to assess the camp conditions from a legal perspective. 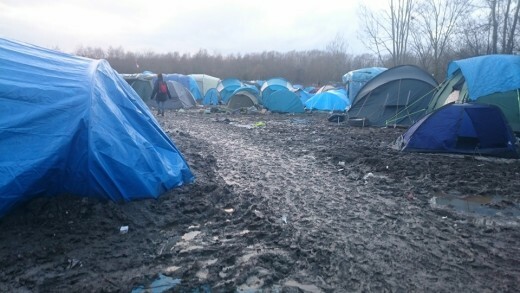 Whereas “the Jungle” in Calais has an established large team of volunteers that have use of warehouse to distribute donations; Dunkirk has very few volunteers, no warehouse and the volunteers are working to capacity with limited resources. The volunteers told us that in the last few months the numbers of residents at the camp had grown from a few hundred to approximately 3000, which is the number said to have been counted by the French authorities using heat sensor technology. The camp conditions were dire with 4-5 inches of mud everywhere and many people forced to sleep in poor quality tents. Médecins Sans Frontières and Medicines du Monde lack resources and are only present in the camp on a part time basis, as is Hands International who administer flu jabs. Despite their efforts they cannot keep up with the demand for medical care and sanitation, particularly because of the conditions people are forced to live in and the worsening weather. On the day we arrived a volunteer told us that there were rumours in the camp that a baby had been born the previous night, but they had not been able to find the mother. 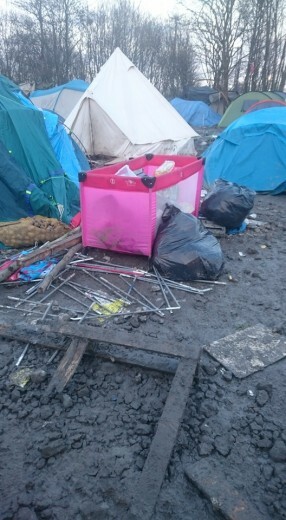 Whilst residents at Calais have been able to construct small shelters from wood which withstand the weather better than tents, the police at Dunkirk do not allow any building materials or tents into the camp, seemingly to prevent the camp located opposite a row of residential houses and on a site dedicated for eco homes from becoming a permanent fixture. Before these restrictions were in place the volunteers had managed to build a small school room, and a communal kitchen which provides hot meals for a few hundred people. These places are clearly important focal points for the residents. There are also some vans who deliver some food and hot meals into the camp on a daily basis and volunteers aim to provide survival kits including burners to new arrivals. At the time of our visit there were 8 water taps for 3,000 people alongside one further ground-level tap. A small number of cold showers have recently been installed, though we were told that this took months of negotiation. We saw around 20 portaloos, which is also clearly insufficient for the number of residents. We saw many families with young children at the camp. Our impressions, from speaking to camp residents and the volunteers was that many people had family in the UK with arguable cases, including protection claims, but there was nowhere to get legal advice and the legal support and assistance to prepare an initial asylum claim in France is restricted to a set number of non-governmental organisations depending on how the applicant’s claim is registered. 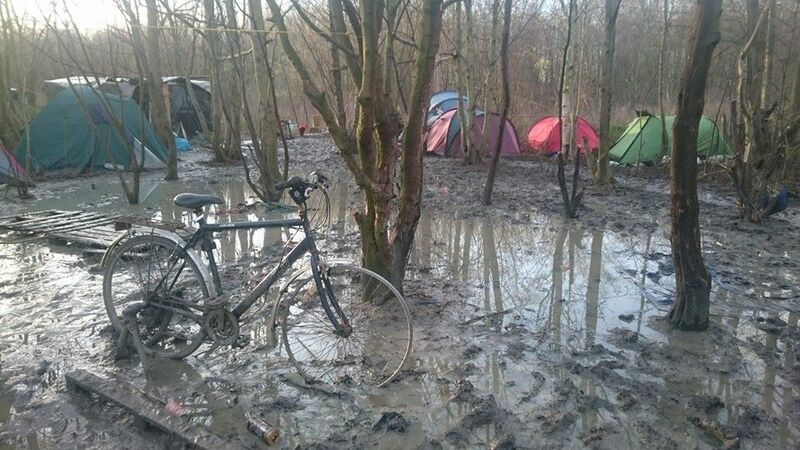 We understand that an Aljazeera TV journalist who had visited almost all the refugee camps in Europe said that Dunkirk was the worst they had seen, and we don’t doubt it.